With the assistance of considerable innovative apps in the Android market, there are more and more cool things we can do on an Android phone. Here I will tell you how to share Android phone camera with a computer, which enables you to join a hangout with your friends without having to install a webcam on the computer. 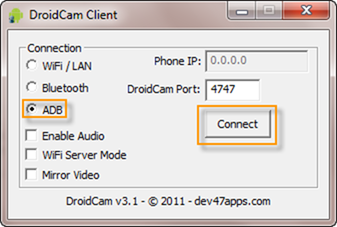 After downloading the zip file to your computer, depress it, then install the DroidCam-3.1.exe on your computer and transfer & install the DroidCam.apk on your Android phone. DroidCam app allows users to share the camera on Android phone with computer (Windows only) in several ways: Wireless, USB and Bluetooth. As Bluetooth connection is unstable sometimes, we mainly discuss the other two ways. For USB connection, we have to firstly install ADB on the computer (ADE equals to USB mode). Secondly turn on debugging mode on the phone. At last run DroidCam on both phone and computer. 1. Go to DroidCam installation folder and copy & paste the 3 files (adb.exe, AdbWinApi.dll, AdbWinUsbApi.dll) under “adb” folder into C:Windows System 32. To reach the “adb” folder under DroidCam installation path, right-click the DroidCam icon on the program list (start -> All Programs) and select “Properties” -> “Shortcut” tab -> “Open File Location”. 2. Press Windows and “R” key simultaneously on the keyboard, input “cmd” on the “Run” window, click “OK” then input following chars. There will be a 2-line success message formed at once. Keep this window open when connecting. 3. Turn on debugging mode on your phone. (Mostly) settings -> Applications ->Development, then tick “USB debugging”. 4. Launch DroidCam app on your phone. 5. Launch DroidCam app on computer (start -> All Programs). Select “ADB” under the Connection label and then click on “Connect”. Check your phone, you will find the rear-facing camera started automatically. Place the phone on the desk and get it settled, you can get your phone camera worked. If the following error window occurs, please follow steps below. 1. Make sure the USB debugging mode (settings -> Applications ->Development) is “ON” on your phone. Or uncheck the debugging option then tick it. 2. Click “Stop” button on DroidCam PC app, then connect. 3. Close both apps on computer and phone. Repeat steps 1-5. 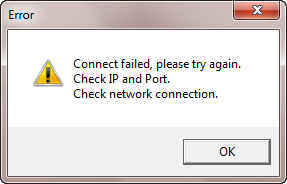 I experienced the error during the testing. Keeping the command window open make the problem resolved. This method is a bit easier, but you have to make sure both your computer/laptop and smartphone are connected to the same wireless connection. USB cable is not required in this case. 1. Launch DroidCam app on your phone. 2. Launch DroidCam client on your computer. 3. Select “WiFi / LAN” radio button under Connection label on DroidCam client. 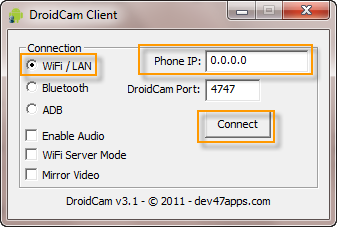 Check the IP on your phone and then fill in DroidCam Client. Yeah, you must have found they are opposite. 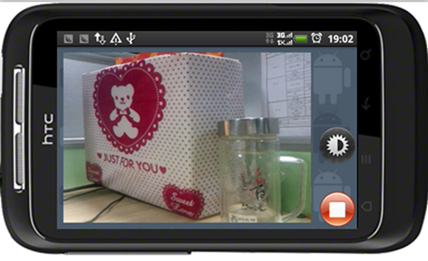 Anyway, we are able to have a video chat with our friends or family via an Android phone. Cool! Ada Wang works for Epubor, which delivers eBook-related solutions to customers. She also writes articles concerning eBooks, eReaders and popular electronic gadgets for eBookConverter.